Do you have a "Tween", junior bridesmaid or flowergirl in your bridal party? Panache Bridal Boutique is looking to expand our bridal collection by offering an exquisite range of Junior Bridemaids dresses from world class designer Sorella Vita. Sorella Vita have introduced a Juniors range suitable for approx 9-14 years. These Junior Bridesmaid dresses complement our existing bridal collections and are completely on trend with sequin, chiffon, tulle and satin styles to match the adult gowns available in all the colours. Juniors collections would also be offered our alterations service. Would you choose any of these styles for your "Tweenies"
Posted on February 7, 2016 by Panache Bridal and filed under Inspiration and tagged sorella vita junior bridesmaid flower girl flowergirl collection sequin satin tulle chiffon knee length coral evening mist poll matching bridal dresses dress gowns. It’s the most wonderful time of the year – for a wedding! Everyone comes together at this time of year, so why not make the most of it and celebrate your nuptials, too? 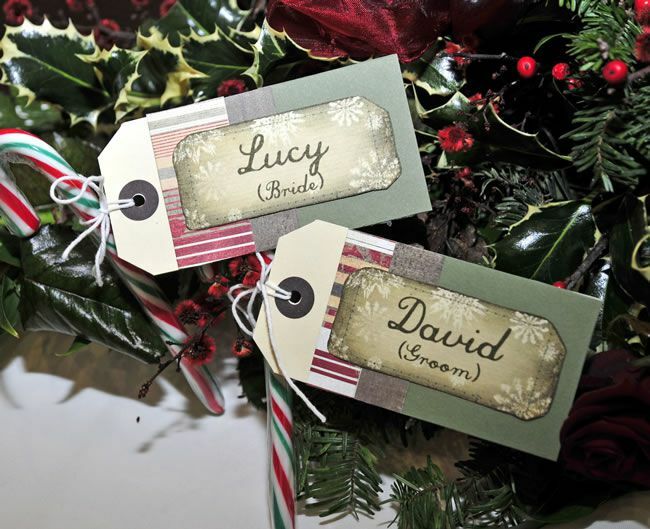 Rich sumptuous colours, roaring log fires and hopefully a sprinkling of snow, winter weddings are magical and romantic. Dramatic lashes, scarlet lips, and a high neckline with just the right amount of skin; keyhole backs are on-trend. Float down the aisle in a gown with textured tiers that are light as snow or a gilded gown with intricate embroidery is a regal choice for Christmas time brides. Bold accessories and colour tones really help your wedding day photographs "pop" and you'll definately stand out form the crowd with these ideas. Darling bows add a girlie touch to these daring red-hot heels. Display your accessories on a gold object to make them really pop in photos. According to ancient folklore, the Druids regarded holly as a sacred plant and believed it had magical powers of protection. What better plant to include in your groom's boutonniere? Personally, I've always thought that red bridesmaids dresses would be tough to pull off, but the cherry shade looks ultra-flattering on all of the 'maids skin tones. Let’s think about Christmas colours – if you want to avoid the traditional greens and reds associated with the season, then there are loads of modern winter options for you to consider. We love the look of berry shades such as deep reds and purples interspersed with winter whites. It’s a chic option for a Christmas wedding that feels luxurious and festive. Purple calla lilies are a sophisticated choice, and you won’t need many of them to create an impact. Talk to your florist about what will work for you. We think a beautifully decorated Christmas tree is an absolute must at both your ceremony and your venue. Use the wedding colours you’ve chosen for your tree decorations. Whites, silvers, golds and berry shades are classic and chic, while bright jewel shades of turquoise, emerald, ruby and amethyst will also look wonderful. For your table decorations put a mini tree on every table, or, to make things look extra festive, you can drape some organza around your wedding tables or tie onto chair-backs and table centre. Other great festive touches include personalised festive candy cane or snowflake and icicle napkin holder and place settings. Holly wreaths and rustic woods and pinecones are another warming seasonal touch though perhaps use sparingly if there are lots of children on your special day, this avoids injuries. Christmas is the best time of year to splash out on great food and drink, so serve your guests a festive feast! You could offer your guests mulled wine and hot spiced apple juice as they arrive at your reception, with mini sausages to nibble on. A version of Christmas dinner is a natural choice for your main meal. Most people love a roast – and it doesn’t have to be turkey. If you’re having a buffet you could serve up the main course carvery style, so as well as the traditional turkey with all the trimmings, you could offer a large ham and a vegetarian option. For dessert, the options are endless – Christmas pudding, mince pies, Yule log, trifle… our mouths are watering just thinking about it! If you have booked a wedding at this time of year, make sure you get those "Save the Dates" out super quick to avoid any clashes of commitments over the festive period. Posted on December 4, 2015 by Panache Bridal and filed under Inspiration and tagged christmas festive xmas winter wonderland log fire romantic magical snow wedding.